JT Stewart (poet / writer / playwright / editor / teacher) co-founded the Clarion West Writers Workshop, now in its 30th consecutive year. Currently, she teaches poetry at the Richard Hugo House in Seattle and will be a panelist in 'found poetry' at the 2014 AWP Convention. A featured poet in Stone Telling 9, she also appears in The Moment of Change: An Anthology of Feminist Speculative Poetry. Most recently, she has one of two poems in the Aqueduct Press anthology Strange Matings: Science Fiction, Feminism, African-American Voices and Octavia E. Butler. JT's poetry broadsides have appeared in the Seattle Art Museum, the Allen Library (University of Washington), and the Washington State Convention Center galleries. The audio for this poem was recorded at Jack Straw Productions. 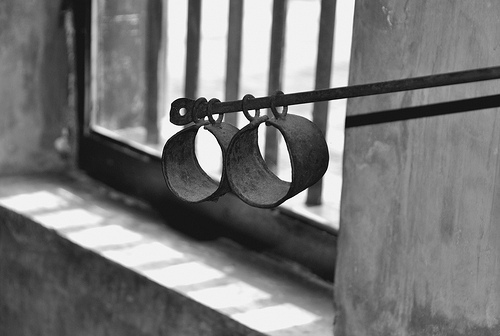 Photography: slavery, by Bruno Casonato.